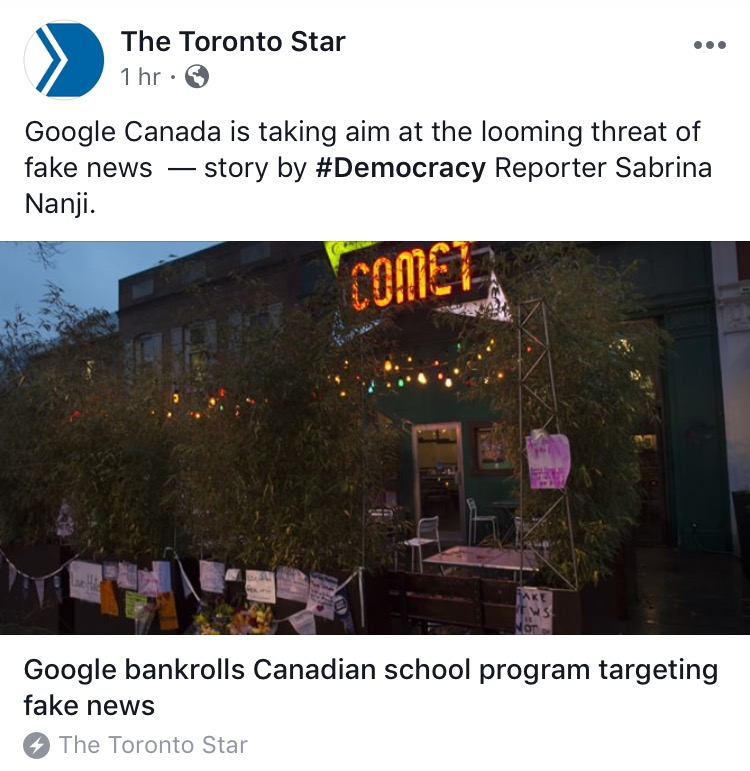 Silicon Valley pays penance for choking Canadian journalism. Google, which set the standard for being elusive with reporters (most recently about removing ads from independent YouTube creators) has made headlines for a $500K charitable grant to develop NewsWise, a program is dedicated to helping students filter false information. Facebook was about to unveil an initiative of its own, geared toward offsetting “multiple hacktivist groups” trying to influence the 2019 federal election—although the announcement was just pushed back. The Varsity sees the future of campus media in Chinese. U of T’s flagship newspaper now has a Chinese-language digital version for the 11 per cent of the full-time student population from China. Starbucks sued by Cadillac Fairview over tea vacancies. The shopping centre landlord is seeking $20 million in damages related to the shuttering of Teavana stores. 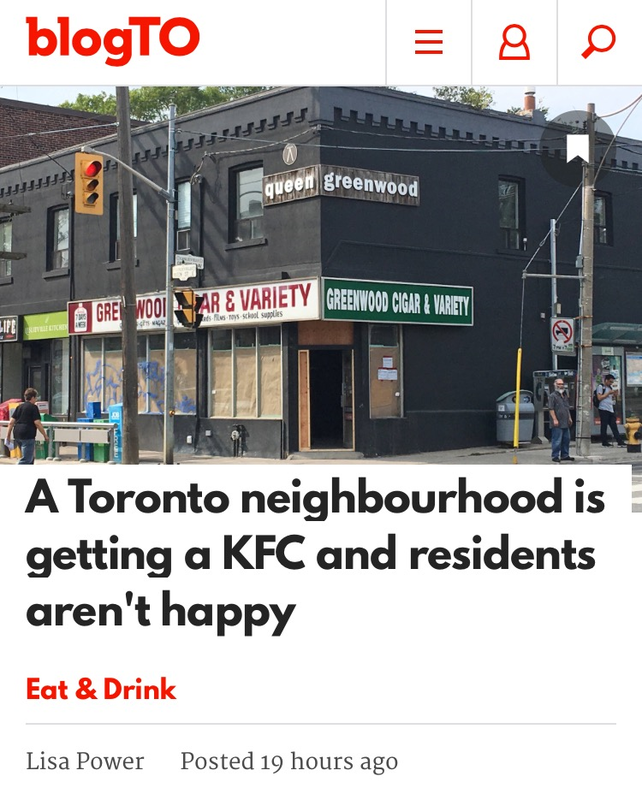 (The Canadian locations will vanish at the end of September.) Starbucks Canada may be getting out of the standalone tea retail business, but it's not followed the U.S. lead in ditching the alcohol. The pumpkin spice patrol begins before the summer ends. 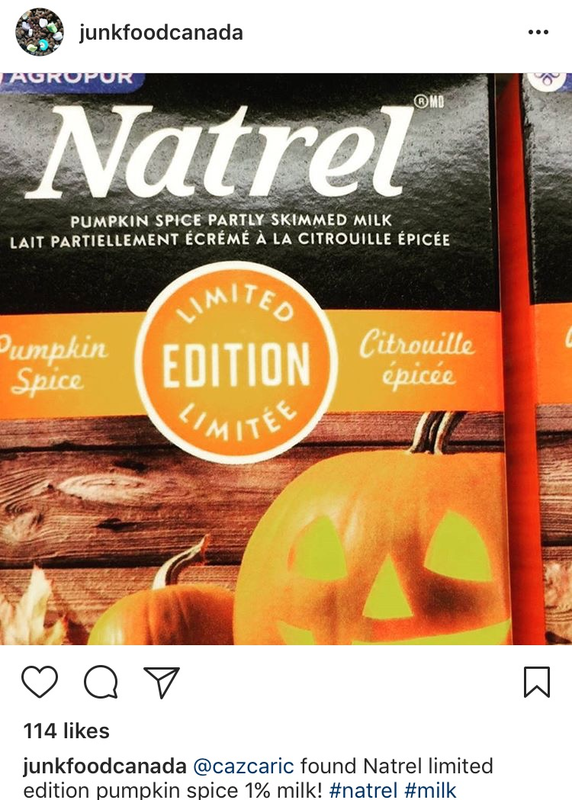 Instagram account @junkfoodcanada has started filling up with seasonal sightings: the domestic debut of Pumpkin Spice Cheerios, the return of Dare Ultimate Pumpkin Spice Crème Cookies and pumpkin spice Vachon Passion Flakies. But arguably even more absurd than hoax pumpkin spice condoms or tampons is the nation's temporary new normal: pumpkin spice milk. Barack Obama tickets are suddenly 75 per cent off. Canada2020’s lunch with 44 on September 29 at the Convention Centre can now be experienced for $244, a discount from the $10,000 tables for 10 originally being sold. (The trade-off is you have to sit in the rear and not be served any rubber chicken.) We still don't know whether any locals have paid $3,000 to meet and greet Hillary Clinton at the Enercare Centre. Commenters on a Facebook advert touting a $5,000 Royal York Hotel dinner with Bill Clinton the following week find the idea hysterical. 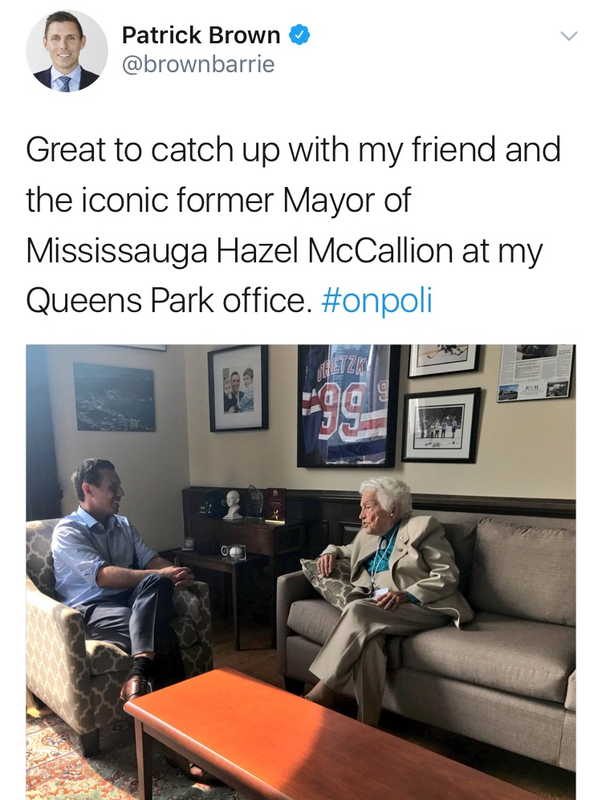 Logic's rap ballad, named for the U.S. suicide prevention hotline and featuring Brampton's Alessia Cara, is now Billboard's highest-ever charting phone number.